The Safe by Design workshop concept was initiated by The Crown Estate in 2012 and a number of workshops were held. In 2014, in response to the growing recognition of the G+ as a health and safety authority on offshore wind issues, The Crown Estate requested that the G+ take ownership of the Safe by Design initiative and develop the workshop programme around their risk profile. The purpose of each workshop is to explore the current industry design on a particular topic/risk area and to investigate improvements in the design phase of an offshore wind farm project that would lead to a reduction in the number of incidents and lead to improvements and efficiencies in H&S performance. A G+ Safe by Design workshop was held in September 2015 on Lifting Operations. It was decided that this was too large a topic for a workshop, and going forward topic areas will be more specific in scope. The most recent Safe by Design workshop was held on 5th March 2019 on bolting and hydraulic torque and tension systems and the report will be available for download shortly. The next workshop is scheduled for November 2019. 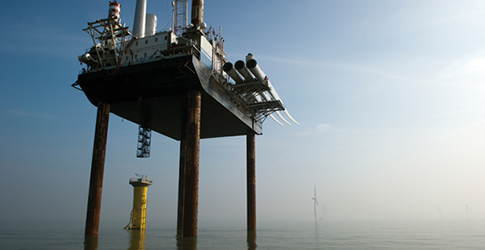 The G+ is keen to hear from companies with innovative designs that have the potential to improve facets of health and safety in the offshore wind industry. If you have any questions relating to the G+ Safe by Design initiative, please contact us.